We receive telephone calls daily from people who say "I want to sell my home." Often it is a life-changing event that triggers the phone call. The most common reasons are discussed below and we discuss how we can help a homeowner, you, sell your house fast and with few or no hassles. Click the following link to learn more about How It Works. When a couple decides to divorce there is property to be be divided and usually the most valuable of the assets is the home they own jointly. There will have to be an agreement between the two parties to sell the house or the divorce court will issue instructions on the division of property. Regardless, there will be an individual responsible for the sale of the real estate and as cash home buyers we can reduce the time and effort required for a sale. We pay 100% cash for the house and that removes all of past due mortgage payments, mortgage balance, outstanding property taxes, HOA fees, and other liens or encumbrances. The result is a "clean" sale in which the husband and wife are removed from any further obligations and can split the proceeds. 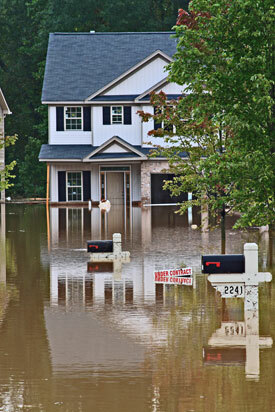 Hurricanes and flood waters have destroyed or damaged hundreds of thousands of homes in some years in the United States. But natural disasters also include tornadoes, earthquakes, and droughts. By some estimates, Hurricane Sandy destroyed or damaged 305,000 housing units in New York and 346,000 housing units in New Jersey. On August 29, 2005 Hurricane Katrina struck New Orleans and the southern gulf coast of the United States. It is estimated that 300,000 housing units were either made uninhabitable or were completely destroyed. It is considered the most costly storm in the history of the USA. And in August of 2017 Hurricane Harvey destroyed or damaged an estimated 273,000 homes in Houston and south Texas with unprecedented amounts of rainfall and flooding. One of the leading causes of homeowners losing their homes is the failure to make a number of consecutive mortgage payments. The lender, usually a bank or mortgage company, will promptly begin the foreclosure process. In some states, such as Texas, this process only requires a few months for completion while in other states such as New York it could take three or more years. The eventual result is that the lender will repossess the home and have to pay the outstanding obligations such as property taxes, insurance, and HOA fees. The borrower (homeowner) will have a default judgement placed into his credit history, which will affect his or her ability to borrow money or purchase another house for many years into the future. However, we can help some of these homeowners if they contact us sometime before the final foreclosure event. Our solution is simple and if we feel the property has upgrade potential, or rental potential, we may purchase the house with 100% cash, paying all outstanding obligations. The great benefit for the homeowner is that he or she will not receive the "black mark" of a default judgement. So should you find yourself in a foreclosure situation call us sooner rather than later and we will give you some of the best free advice you will ever receive. Owning rental houses is a job. It is not a business that can run by itself. 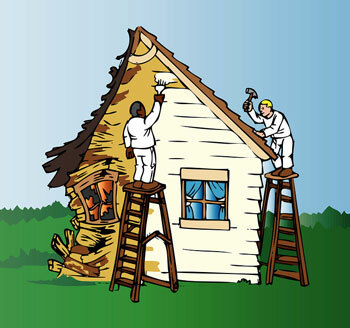 There will always be tenants to deal with and maintenance issues that need repair. Many times landlords will decide that they no longer want to be landlords and should you find yourself in the position then give us a call. We buy homes and that includes packages of multiple homes. We will provide you with a fair cash offer for your real estate properties. Should you wish to owner finance your houses then we can offer you a higher price. Let's talk. Call us. Sometimes homeowners get in financial trouble and they don't pay their local property taxes. Every local jurisdiction is different but if you don't pay your property taxes then the local government entities will seize your property and sell it at auction. Are you in this situation? Maybe we can help. Call us. It is in the homeowner's best interest to either pay the taxes or sell the home for the best possible price. Allowing the house to be sold at auction is NOT the best option for the homeowner. Many times these homes have a lot of equity and we can make you a fair offer to purchase the property. Call us today. One of the "gotchas" in this business is a program common in many local tax districts referred to as a "tax deferral program." Basically, homeowners over the age of 65 can request a deferral or postponement in the payment of their property taxes. The taxes don't "go away" but rather they accrue at a predetermined interest rate. At some point in the future the accrued taxes and interest will have to be paid. The key is that all parties, including real estate investors, should be aware of these postponed but existing real estate tax obligations. Many of the homes we buy are inherited properties. It is very common because the person or persons inheriting the property have no need for another home and do not want to become landlords. In addition, we find many of these homes to be old with a lot of repairs needed. Usually the children of a deceased parent do not want to obtain repair estimates, hire contractors, pay contractors, list the house with a realtor, and wait for a sale. Sounds like a lot of hassle, doesn't it? It is far simpler and easier to ask real estate investors to purchase the home - and buy the home fast. Job transfers pose a problem for those that have a home in one city and need to buy a home in another city. Most people do not want to be responsible for two homes, one of them being a rental house. The obvious solution is to sell the home in the departing city and use the cash to purchase another home in the new city. This is the faster, quicker solution because we use 100% cash in the transaction. Another reason a person or couple will sell their house is to down-size into a smaller house. Often this happens after the children have become adults and moved away. Usually the home is in good physical condition but dated. These homes will need their kitchens and bathrooms updated. Many times homeowner simply have not maintained their property over the years. For example, the roof will usually last 20 or 30 years and then need replacement. Heating and cooling systems are reaching the end of their useful lives at the 30 year mark. And in some areas of the country the expansion and contraction of clay soils results in significant foundation and home damage. Regardless of the reason, we are here to help you with a fast and hassle-free real estate transaction. Call us today and we will talk about the sale of your home for cash.